2012 Magadan to London trip & 2014 Eastern BAM trip. Kev lives in Dublin Ireland, works as a builder and has been riding motorbikes for over 35 years both on the road and off-road. 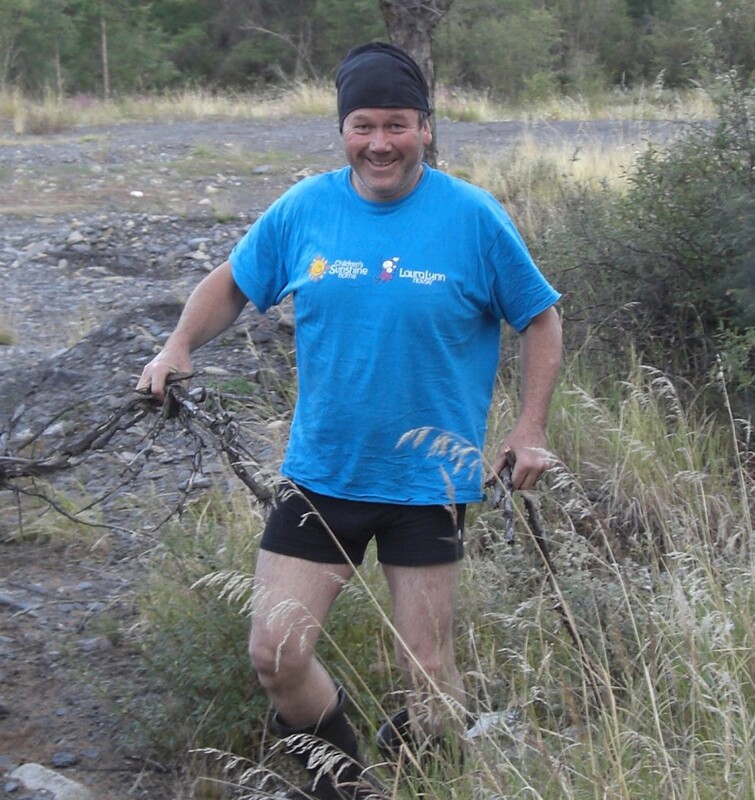 He was the brawn on the 2012 trip, he also kept the blog going en route so I could copy and paste to steal the glory! 🙂 if something needed bending, breaking, or lifting he was the man! Kevin Emans sporting a lovely head scarf! Mark lives near Brighton England, works in IT and has been riding motorbikes for over 25 years mainly on the road with a little off-road experience. He was the brains on the 2012 trip, He organised (well actually his missus did!) the transportation from St Petersburg to Magadan, sorted out the accommodation in Magadan (again his missus did! ), route planning, schedule, website, and anything else that needed thinking about 🙂 (guess who wrote this!). 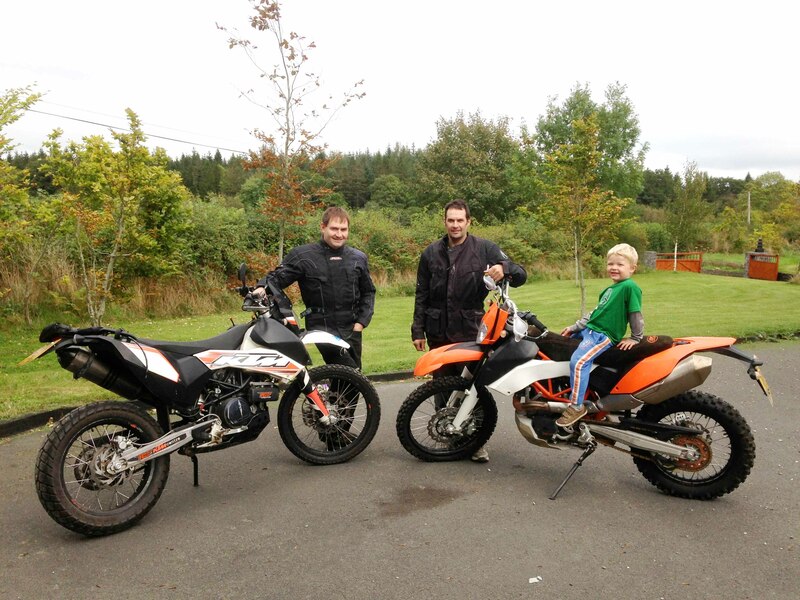 Gary and Ned both live in Abbeyleix Ireland, keen offroad bikers for many years both will be running KTM 690’s with Rally Raid kit. Gary runs a coffee shop ( only joking Gary ) recruitment business and Ned does man stuff such as welding and hitting things with large hammers!. Gary also rode a 1200GS from South Africa to home a few years ago, and speaks fluent Russian ( so he claims ). Gary on the left and Ned on the right, Ned’s son who is sitting on the bike is a far more experienced off road biker and probably would be more useful on the trip!. 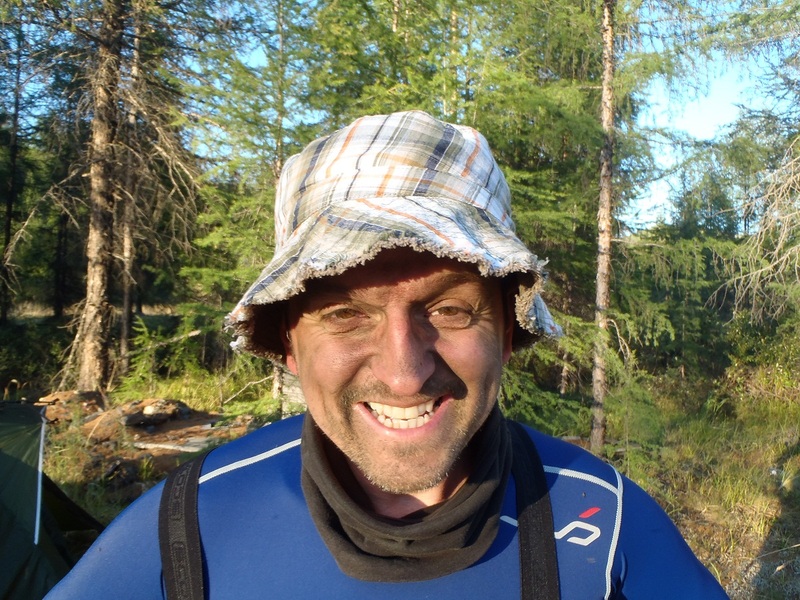 Jim lives in Cork Ireland, also a keen off road biker for many years and will be running the classic KTM 640 Adventure on the trip. He always has a smile on his face, but after 4 weeks with Gary and Ned I’m not so sure it will still be there! 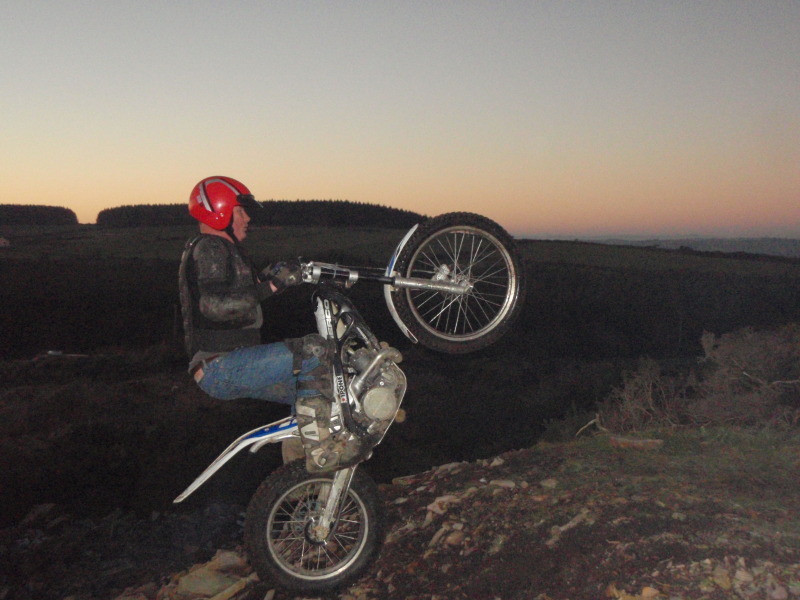 Jim posing on a trials bike.